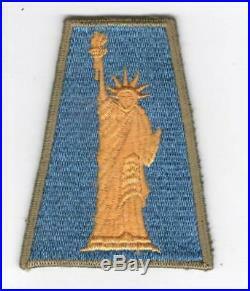 WW 2 US Army 77th Infantry Division Patch. Refer to item title for description and see images. If we do not have the lowest price we will meet or beat any reputable dealer. Rare WW 2 US Army 77th Infantry Division OD Border Patch Inv# C447. This is for the item stated in the title and pictured. Please use image super sizer for the best view. You get the item pictured, we do not use stock photos or other sellers images. All items are guaranteed to be 100% original, we do not sell reproductions. All items are for sale here and in my walk in store. Walk in sales take priority. Pay for the item within 3 days of invoice. Get images that make Supersized seem small. Tailor your auctions with Auctiva's. 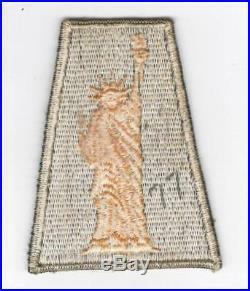 The item "Rare WW 2 US Army 77th Infantry Division OD Border Patch Inv# C447" is in sale since Thursday, April 05, 2018.